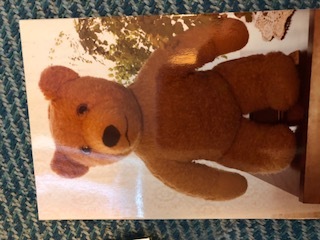 Searching for my childhood 1970s teddy bear! 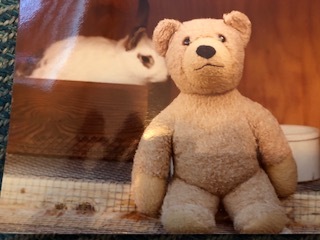 I would sooo love to find a bear like my childhood bear from the 1970s. I named him George and loved him more than anything. I'm not sure where I lost him along the way, and i have no idea what his brand is or where he came from! He fit in the snoopy clothes that you could buy back in the 70s, so I would dress him in those clothes. He was soft filled, and his wasn't jointed or anything. He had a longish nose and a dignified expression. Thank you in advance for any help!